This weekend was great! I had a dinner through Nommery at Fog City, which absolutely killed it at dinner. My favorite part might have been the fact that I had to fillet a fish, which is always fun. Then yesterday, I went to the Winter Fancy Food Show with a press pass. Which pretty much means that I got to meet a ton of people who had interesting food and talk about MomNoms. I think that may be one of my favorite things. I love telling people that I like to make ‘fancy’ but easy meals for people. So that they don’t have to go to a restaurant or order take out, they can make it themselves. In fact, today I have a Valentine’s Day ratatouille and roast for you. It sounds like it would take forever to make, but it really doesn’t. And since it’s still winter, I used a lot of winter vegetables. One of the great companies that I have met through blogging is Imperfect Produce. 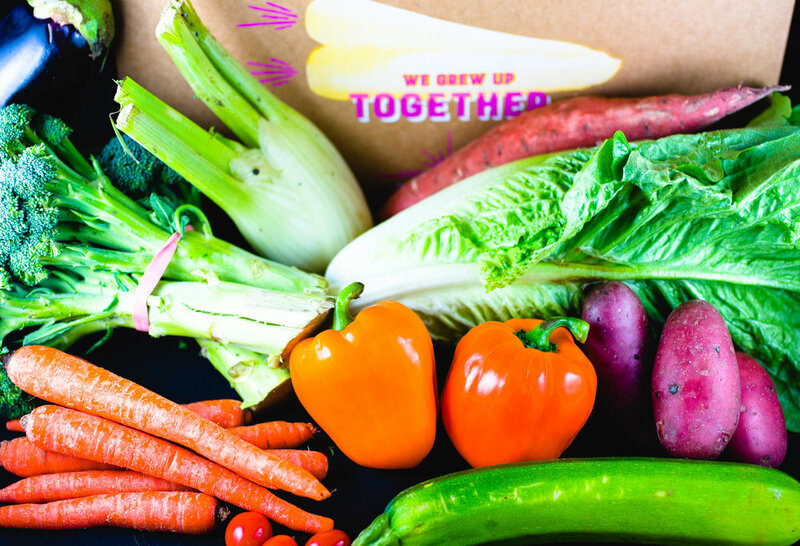 They take ugly produce or produce that has been over ordered and sell it as a subscription process. The day I found out about them, I ordered my first box. I just got it on the 18th and was super excited about it! I have never wanted to cook so much in my life, I had so many ideas. But the ratatouille is what I thought would showcase it the most. Imperfect Produce also cost much less than what I pay at the grocery store, so I’m not only reducing food waste, but cost! I have never been so in love with a product in my life. If you are in the Bay Area, I highly suggest you order this box! Back to Valentine’s Day, do you want to make your loved one feel special? Or do you want to make yourself feel special? Make a ratatouille. I came up with an easy way that you can get done in no time. You can also plate it really pretty and impress whoever you are with.